Nevertheless, she persisted. It could have been our motto in 2017. Together, we never backed down, never gave in, and never stopped fighting for our rights — no matter what Donald Trump, Mike Pence, and their administration threw our way. 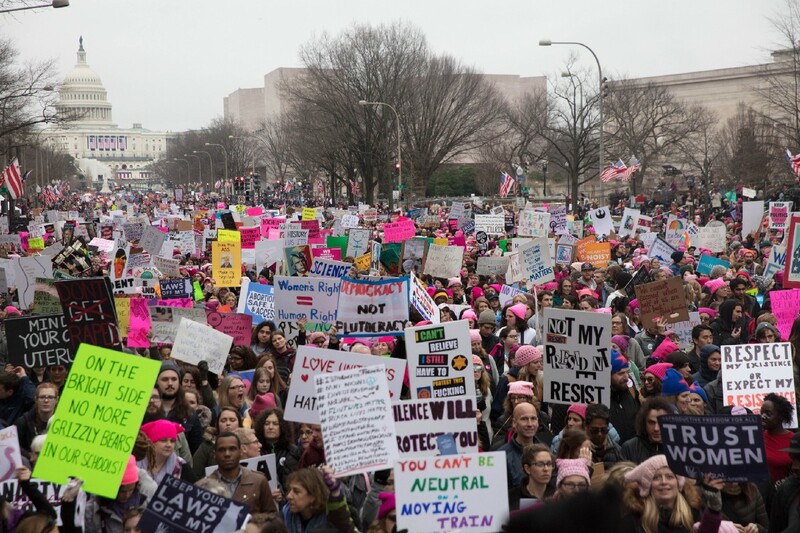 After the 2016 election, we wasted no time jumping into action and mobilizing to be a leader in the resistance fighting back against the Trump administration. We were proud co-sponsors of the Women’s March, and our members helped fund scholarships for dozens of students from across the country to travel to Washington, D.C. and be a part of the incredible, historic Women’s March. 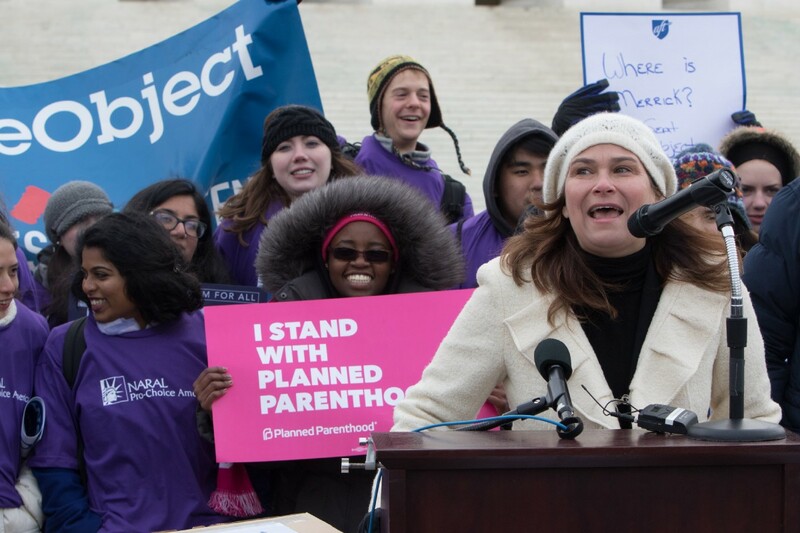 Activists and NARAL members in all 50 states joined the over 4 million people around the globe marching in support of equality for all — and they even got to see NARAL Pro-Choice America President Ilyse Hogue speak from the stage of the Women’s March! And just 24 hours later, the the 7 in 10 Americans who support abortion access took to Twitter to say loud and proud that they are part of the pro-choice majority by tweeting about why they are one of the #7in10forRoe. The conversation even trended nationwide! Together, we sent a message to the Trump administration loud and clear: We won’t back down from the coming fights over our reproductive rights. We’ll hold anti-choice politicians accountable, whoever they are, from day one. In early January, Donald Trump announced his choice to fill the vacant seat on the Supreme Court: anti-choice, anti-LGBTQ, and anti-worker Judge Neil Gorsuch. 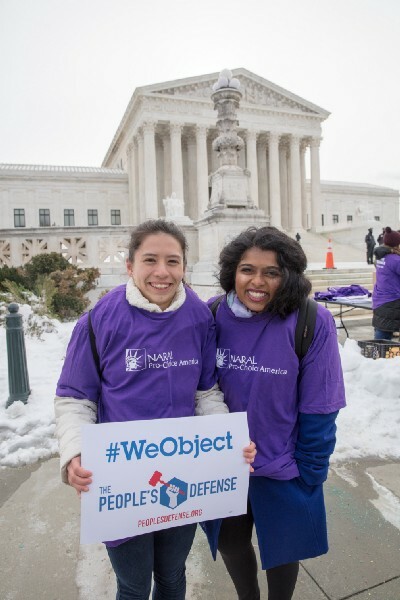 NARAL immediately took the lead in organizing the People’s Defense, a coalition of progressive organizations made up of millions of Americans opposed to Neil Gorsuch’s nomination and the hostile conservative takeover of our courts. 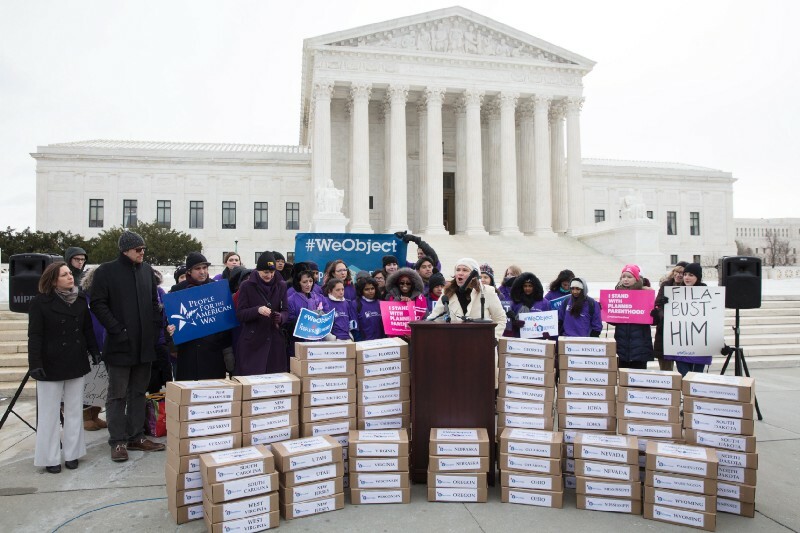 NARAL members delivered over 1 MILLION petition signatures to all 100 Senate offices to oppose his nomination, and continued to fight back — HARD. 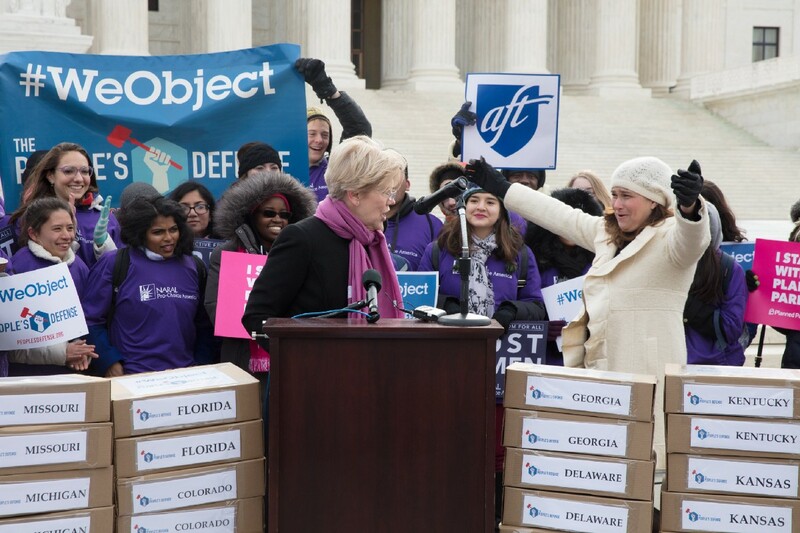 Across the country, members and progressive allies held rallies, lobby days, and protests to urge their senators to filibuster Gorsuch’s nomination. 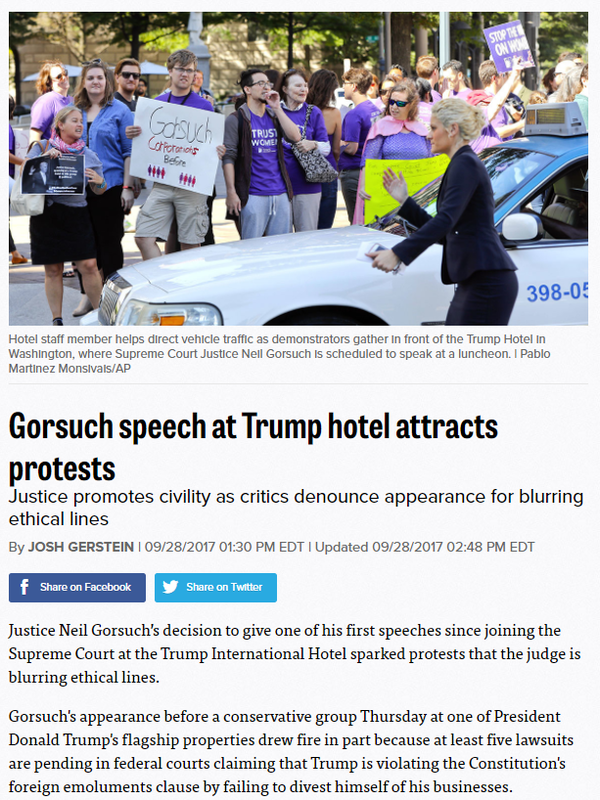 In over a dozen cities across the country, we coordinated “People’s Filibuster” rallies two days before the Senate Judiciary Committee’s vote on Gorsuch’s nomination. The People’s Defense and NARAL members succeeded in urging Senators to filibuster Gorsuch’s nomination — and we held Republicans accountable when they changed the rules to get Gorsuch on the court. We’ve continued to hold Gorsuch and the anti-choice GOP accountable; protesting his violation of judicial ethics, calling attention to his rulings, and speaking out against more extremist Trump judicial nominees like John Bush and Amy Coney Barrett. 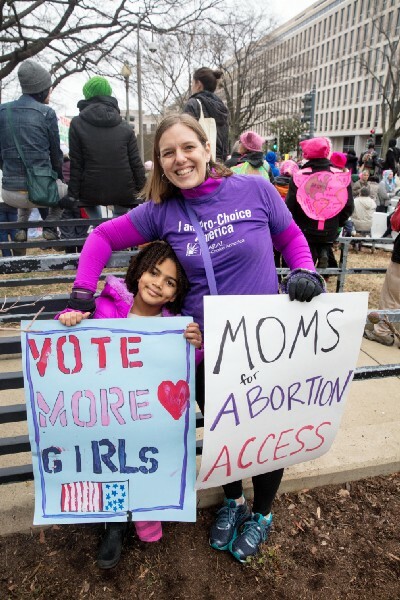 Facing an anti-choice majority in the White House and in both houses of Congress after the 2016 election, activists and members in states across the country knew we needed to focus on gaining wins for reproductive freedom in their own backyards. 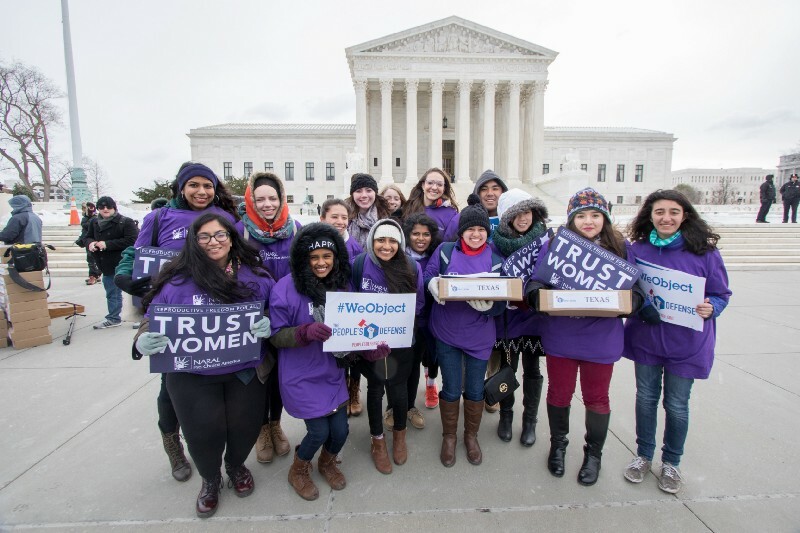 In Illinois, Oregon, Massachusetts, Nevada, Missouri, and Hawaii, we saw major pro-choice victories! In Nevada, where we flipped control of both state houses in 2016, the state passed the first reproductive health law in 17 years — which allows women to get a full years’ supply of the bill at a time — thanks largely to the incredible activism of our incredible members! 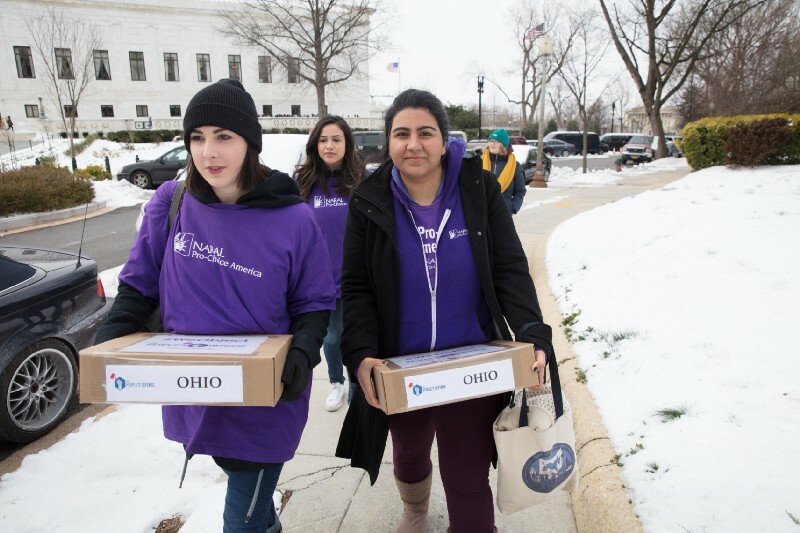 Members traveled on Feminist Road Trips, made hundreds calls to legislators, and sent nearly 4,000 postcards to their state legislators and the Governor asking them to support the bill. From day one in this administration, Republicans made their intention to gut our healthcare VERY clear. 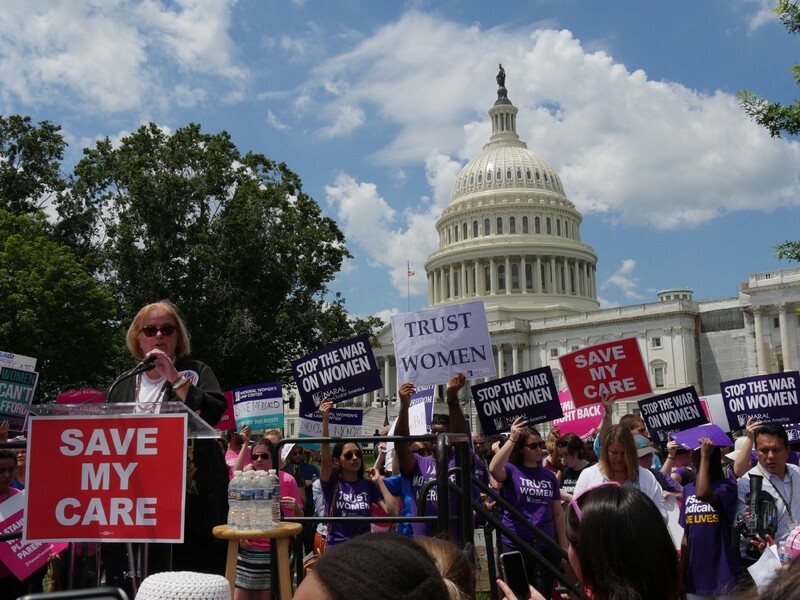 Despite their continuous, shameless attempts to repeal the Affordable Care Act, the out-of-touch GOP failed to pass legislation carrying out their obsession with rolling back our essential healthcare, largely thanks to the NARAL members and progressive activists who stood in their path. We took hundreds of thousands of actions — from phone calls to faxes to petition signatures and digital actions — to make our voices heard, and led national days of action to #ProtectOurCare. Thanks to this tireless activism, we successfully stopped the GOP’s attempts to repeal the ACA! Throughout 2017, the resistance proved its organizing power — we stopped repeal of the Affordable Care Act, succeeded in filibustering Neil Gorsuch’s nomination, and marched on Washington. In November, the first real test came — would this translate to the polls? The answer from activists and voters alike as a resounding YES! We saw major wins in Virginia, with pro-choice champion Ralph Northam winning his race to become the next Governor of Virginia, Democrats making major, unexpected gains in the Virginia House of Delegates, and ending the Republican supermajority in both the Georgia and Washington State Senate. The best part? Many of the winners were huge supporters of reproductive rights. Our members showed their organizing power leading up to the November elections. 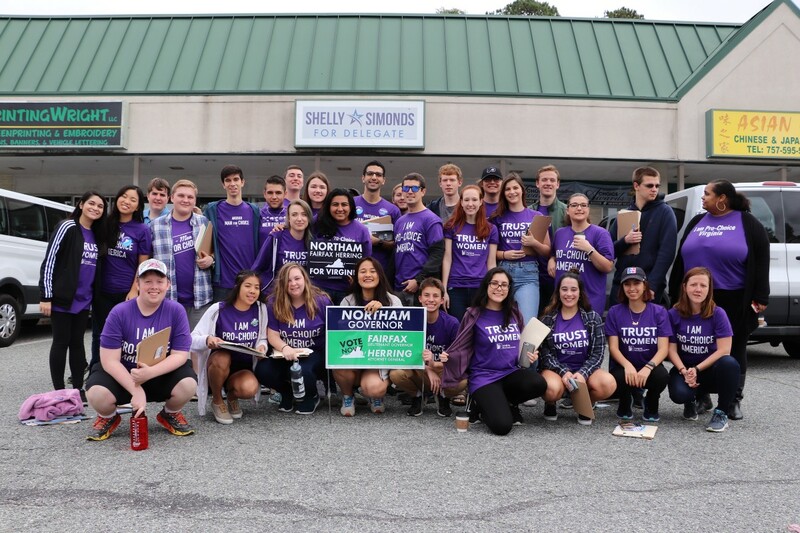 Early on, NARAL Pro-Choice America and NARAL Pro-Choice Virginia backed Ralph Northam in his gubernatorial bid. 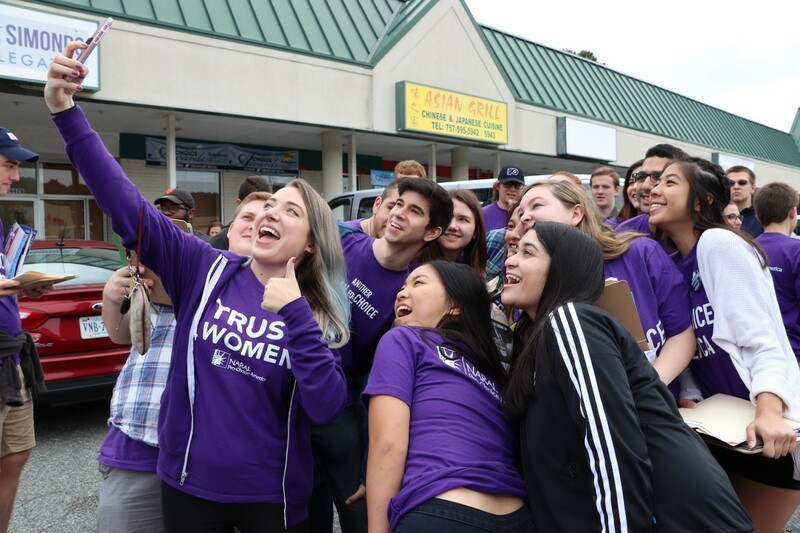 NARAL members made about 5,000 phone calls, knocked on 30,000 doors for his campaign, and launched TV ads highlighting his excellent record on reproductive rights. Northam spent his career fighting for the rights of women and families, and famously led the fight against the deeply unpopular 2012 “transvaginal ultrasound” law in the state. Northam and his opponent Ed Gillespie’s positions on reproductive freedom played a major role in the race, and Northam’s proud pro-choice stance was key to his win. A similar scenario played out in Washington state — from day one, we were proud to stand behind Manka Dhingra — we were heavily invested in her campaign, spending over six figures on the race and reaching over 26,000 voters in the district. 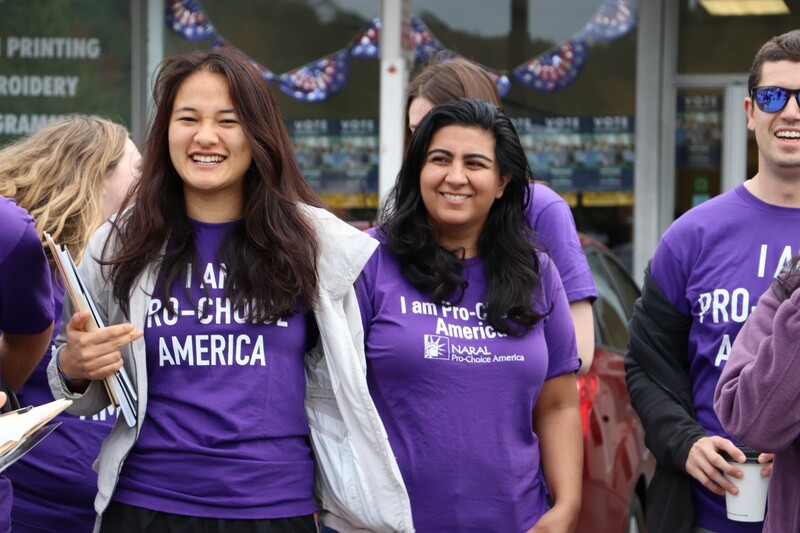 NARAL members and volunteers knocked over 6,000 doors and made over 3,000 phone calls on Manka’s behalf. And in Alabama, we saw a major political upset — Doug Jones won his race for Alabama Senate, and Jeff Sessions’ former seat in the U.S. Senate will now be filled by a pro-choice candidate — a clear signal that the tides are turning. 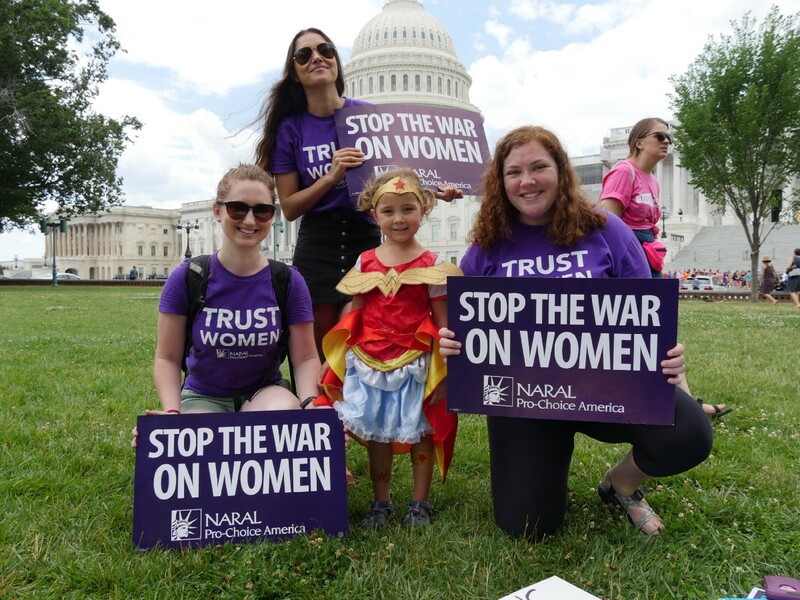 And we’re not stopping there — NARAL staff, members, and volunteers are gearing up for an exciting election year in 2018! We endorsed Stacey Abrams in the race for Georgia Governor, and Marie Newman in the Democratic primary in Illinois’ third district — a rare joint endorsement with leading national progressive groups like MoveOn, Democracy for America, the Human Rights Campaign, and the Progressive Change Campaign committee. Coming off of the historic win for pro-choice values in Alabama, we’re more confident than ever that a pro-choice candidates can and will win across the country in 2018. In 2017, we expanded our organizing impact into the South and across the country! 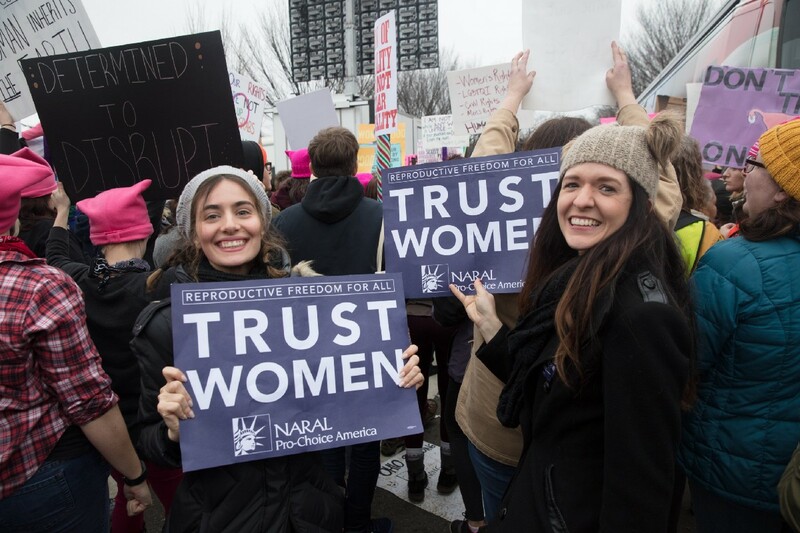 Along with opening a new chapter in Georgia and re-opening our Iowa chapter, our new fellows program empowered brand new repro activists to organize and mobilize volunteers all across the country in support of reproductive freedom. Our activism didn’t stop at the voting booth and the halls of Congress. We worked with clinics in states like North Carolina and Kentucky to fundraise for projects to better protect patients and make sure they have as much protection as possible from anti-choice harassers outside clinics. In Charlotte, NC, we raised thousands of dollars to help A Preferred Women’s Health Center (APWHC), the subject of the award-winning documentary Care in Chaos and one of the busiest clinics in North Carolina, to help build a fence to help keep a firm barrier between anti-choice protesters outside the clinic and patients trying to access the care they need. In Atlanta, GA, NARAL Pro-Choice Georgia is on the ground organizing and building up the base of pro-choice members in the state. 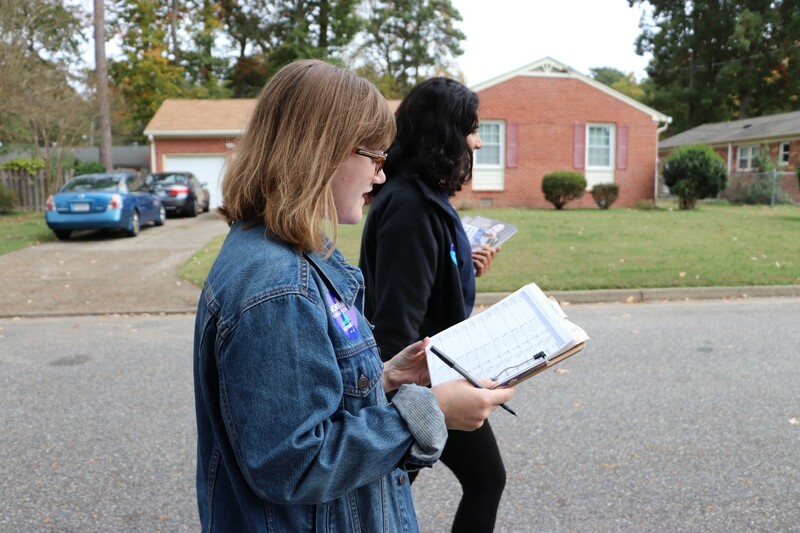 Our on-the-ground organizers have lead regular canvasses and phone banks for Jen Jones and Nikema Williams, who won their races — and broke the anti-choice Republican super-majority in the Georgia state senate! NARAL Pro-Choice Georgia and NARAL Pro-Choice America were proud to endorse Stacey Abrams for Georgia Governor this year, and we caught up with her at Netroots to talk about why being pro-choice in the South is a plus. Across the great state of Iowa, we’ve knocked on over a thousand doors to sign up new members, and our new NARAL Fellows have organized incredible events for NARAL members across the country — from “Women Wednesday” days of action in Georgia, petition deliveries in Illinois, and canvasses in New York, — and have inspired us to keep fighting for reproductive freedom for all! When anti-choice Republicans couldn’t succeed in gutting our healthcare by repealing the ACA, they took aim at women’s health in another way: through unconstitutional, dangerous abortion bans. NARAL members and activists have not stood silently by while this has been going on. Members have signed petitions, and helped make the hashtag #NoAbortionBan trend nationwide in protest of Rep. Steve King’s hearing about his extreme, dangerous abortion ban. NARAL packed the hearing with member-activists, while our opposition reserved a seat for a sonogram (yes, seriously). In October 2017, the ACLU filed suit against the Trump administration, after they learned that they had been blocking an undocumented teenage girl from accessing abortion and forcing her to remain pregnant against her will. In a cruel attempt to target the vulnerable young woman, officials even took her to a fake clinic to try to talk her out of going through with the procedure. After a tense legal battle, good news: Jane Doe was able to access the care she needed! 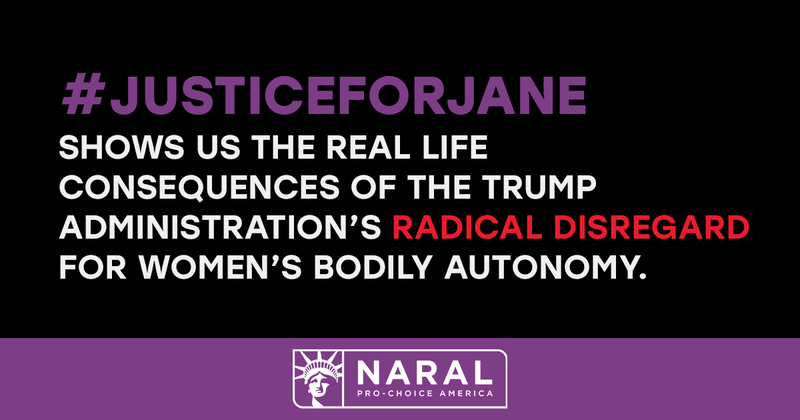 NARAL members rallied outside HHS to demand #JusticeForJane and delivered thousands of signatures to HHS official Scott Lloyd’s hearing to tell him Jane Doe’s medical care was NOT his decision. They also delivered signatures to pro-choice champion and New York Attorney General Eric Schneiderman, thanking him for being a leader on this issue. Abortion ban … in the tax code?! How did Republicans in Congress kick off the holiday season? With the worst secret santa gift of all time — language that could lead to an abortion ban hidden in their tax bill. When NARAL policy experts noticed this in the tax bill, we rang the alarm for our members and worked diligently to elevate the issue in the press and make sure everyone knew just how horrible this bill would be for women and families across the country. As a result of NARAL’s work to elevate this dangerous provision, the podcast Call Your Girlfriend, Comedy Central’s The Daily Show, and Pod Save America, all featured segments on the “personhood” language in the tax bill. Outraged, our members drove over 5,000 calls to their Senators, encouraging them to vote NO. Ultimately, the personhood clause was removed from the tax bill, but we’ll keep fighting this disastrous, anti-progressive tax bill.